On Sunday 17th March 2013, Frank Lampard scored his 200th Chelsea goal – an unparalleled achievement for a midfielder which leaves him just three goals away from becoming Chelsea’s all time record goalscorer. Now, we look back at his time at the club, picking out some of his key goals and key moments. 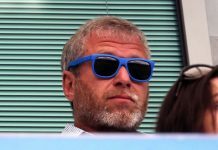 At the start of his third season, in came Roman Abramovich. 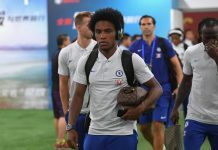 And with a number of high profile signings, and then manager Claudio Ranieri’s admission that new boy Juan Sebastian Veron was the best midfielder in the world left doubts over Frank’s future at the club. But with Veron out injured for much of the season, Ranieri stuck with Lampard. And he was repaid in full. Lampard helped fire Chelsea to 2nd in the League, only beaten by Arsene Wenger’s ‘Invincibles’. He reached double figures in league goals for the first time (10) and his performances didn’t go unnoticed. Frank was named in the 2004 PFA Team of the Year and finished second behind Thierry Henry in the FWA Footballer of the Year. In the 2003-04 season, Lampard showed he was developing into a top class midfielder. In the 2004-05 season, he showed the world he was one of the world’s best midfielders. Having played in all 38 Premier League matches for the third consecutive season, Frank was instrumental in securing Chelsea’s first League title since 1955. With 13 league goals and 19 in total, Frank’s late arrivals in the penalty area and powerful shots from distance were becoming feared across Europe – I’m picturing that beautiful drive in the 4-1 win against Crystal Palace. He scored one of the goals that put famously saw us beat Barcelona 4-2 to progress into the Champions’ League quarter-finals. In the next round against Bayern Munich, he scored one of his most memorable goals. Controlling Makelele’s cross on the chest with his back to goal, he twisted and struck the ball with his left foot on the half-volley, sending the ball past a helpless Oliver Kahn. It’s the question mark of whether a player is really of the highest quality – his ability to produce and perform in big games. Lampard had shown that all season, but he had never played a game as big as this. On 30th April 2005, Lampard and Chelsea went into one of the biggest games in the club’s entire history, knowing that a win against Bolton would seal their first title since 1955. There was no one more fitting than Lampard to score both goals that sent Chelsea fans into utter delirium. That season saw Frank’s first personal accolade when he was named the 2005 Footballer of the Year. With the world at his feet, Lampard took his the form of the previous season into the 2005-06 season. 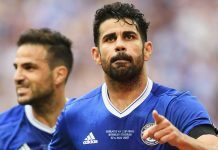 Again, he was crucial in securing Chelsea’s second consecutive league title with a career high 16 league goals (a Premier League record for a midfielder). The world continued to recognise Lampard’s quality. He was selected in the first World XI and finished runner-up to Ronaldinho in the Ballon d’Or and FIFA World Player of the Year awards. By then, it wasn’t just his work rate, goal scoring ability and passing range that Frank had become known for. On 28th December 2005, his run of 164 consecutive games came to an end due to illness – a Premier League record usually only populated by goalkeepers. Lampard’s reputation for scoring big goals continued. He scored both goals in a 2-1 win over Aston Villa that saw Chelsea become the first team to win their first seven Premier League games. After a trademark 25 yard free-kick in a 4-2 win over Blackburn, Jose Mourinho hailed Lampard as the best player in the world. Chelsea fans were almost treated to a bit of déjà vu at Bolton. Lampard scored in the 2-0 win that all but mathematically saw Chelsea clinch the title again, reminding the fans of the previous year as he celebrated in the same spot. Much of the 2006-07 season saw Frank in a new light, stepping up to captain the team for long periods in the absence of injured skipper, John Terry. After scoring a wonderful strike from distance in a 3-2 win at Everton, Frank overtook Dennis Wise as Chelsea’s highest scoring midfielder with 77 goals. And his ability to score brilliant, but perhaps more importantly, vital goals, continued to grow and grow. From an impossible angle, he chipped Victor Valdes to rescue a 2-2 draw at the Nou Camp. In the FA Cup quarter final, he scored twice to earn a replay against Tottenham after the away side had led 3-1. It may amaze some fans to learn that Lampard had never scored a hat-trick for Chelsea. That was until 6th January 2007 when he bagged three goals against Macclesfield Town in a 6-1 win at Stamford Bridge. Although there was no league glory this time around, Lampard played a crucial part in the first FA Cup Final at the ‘New’ Wembley. As the game moved into extra-time after a tight encounter, he provided the assist for Didier Drogba’s winning goal with a brilliant one-two. After the game, Lampard said he wanted to stay at the club forever. After unrelenting endurance and consistency, his 2007-08 season was plagued by injury. 24 league appearances was his lowest since the 1996-97 season. But that didn’t stop Lampard from having his usual incredible impact on the team. On 16th February 2008 in a 3-1 win over Huddersfield Town in the FA Cup, Lampard become just the eighth player to score 100 goals for the club – he celebrated by signalling a “100” with his finger and after the game he revealed a t-shirt reading, “100 Not out, They are all for you, Thanks”. Less than a month after scoring his first hat-trick, Lampard went on to score four for the first time in a 6-1 against Derby County on 12th March 2008. A month later, Frank was hit by the loss of his mother, Pat. He missed the 2-1 win over Man United in which the players celebrated Michael Ballack’s goal by revealing a Chelsea shirt with “RIP Pat” printed on the back. But Frank was back to work a week later in the Champions League semi-final second leg against Liverpool. When Drogba was taken down by Sami Hyypia in the box, Frank was visibly nervous as he lined up the penalty. But in typical Lampard fashion he dispatched the penalty, paying tribute to his mother in an emotional celebration. His ability to produce big goals in big games continued in the final game of the season – the Champions League final. On the stroke of half time, he scored Chelsea’s equaliser after a deflected Michael Essien shot. Lampard ended the season by being named UEFA Club Midfielder of the Year. 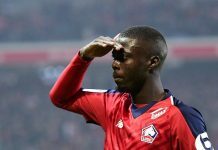 The following summer was filled with speculation over a move to Barcelona. But Frank committed to the club by signing a five-year contract believed to be worth almost £40million. Less than a year after scoring his 100th goal for the club, he reached 150 with a goal against Manchester City. In October 2008, he scored a wonderful chip against Hull City which Luis Felipe Scolari described as ‘the best he has ever seen’. Shortly after scoring his 150th Chelsea goal, Frank scored his 100th goal in the Premier League in a 5-0 win over Sunderland and was named Premier League Player of the Month for the third time in October. After a poor Christmas for the team, Lampard once again displayed his importance in a landmark game. On his 400th Chelsea appearance, he fired in a stoppage time winner against Stoke City on 17th January 2009. 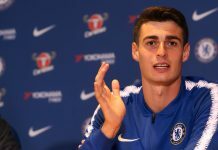 Frank ended the season with 20 goals and 19 assists, the fourth consecutive season he had reached 20 goals, which prompted huge praise from Sir Alex Ferguson. His 20th goal was the winner in the FA Cup Final against Everton. A superb left-footed strike from distance was met with the same celebration that Frank Lampard Sr had done when he scored the winning goal in the 1979-80 FA Cup semi-final against Everton. Frank Jr. was later named Chelsea’s Player of the Year for a third time. The 2009-10 season was another highpoint in Frank Lampard’s Chelsea career, despite finding goals hard to come by in the early stages. Playing at the point of a diamond midfield meant he was no longer arriving late into the box. But on 21st October 2009 he scored his 133rd Chelsea goal, moving him into fifth in the all-time scoring records. A week later he was nominated for the FIFA World Player of the Year award for the sixth consecutive year. On 20th December 2009, Frank scored the type of goal he just loves to score – against former club West Ham. It wasn’t easy, though. After scoring the penalty, he was ordered to retake it. He scored again, but was ordered to retake it for a third time. In typical Lampard fashion, he kept his cool to slot home for a third time. On 27th March 2010, Frank was the star of the show as he hit four for the second time in his Chelsea career in the 7-1 win over Aston Villa, taking his tally to 20 for the fifth consecutive season. That game also moved him into third place in Chelsea’s all-time goal scoring records on 151, overtaking Peter Osgood’s 150. As the season drew to a close, Lampard hit 20 league goals for the first time with two goals in another seven goal drubbing, this time of Stoke City. That game saw him reach 25 goals in all competitions for the first time. The final game of the season saw Lampard score again in the 8-0 title clinching win over Wigan Athletic giving him an incredible 27 goals in all competitions. After the heroics of the title winning season, the 2010-11 season was disappointing for Frank. Just a few weeks into the season, Lampard suffered a hernia and after a successful operation and a series of training injuries, Frank would eventually miss 4 months of the season. On 9th January 2011, he scored twice in an FA Cup win over Ipswich Town which gave him his 200th and 201st career goals. 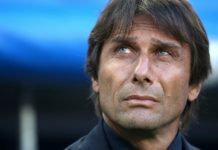 Frank went on to score crucial goals against Manchester United and Blackpool to keep the hopes of a second consecutive title alive. In an injury ravaged season, Lampard could only manage 12 goals, therefore ending his run of 20 goals in five consecutive seasons. The 2011-12 season was a very mixed bag for Frank Lampard. Under Andre Villas-Boas, it was clear than the aging midfielder was no longer a guaranteed starter. Despite reported frictions with the manager, Frank continued to score crucial goals. 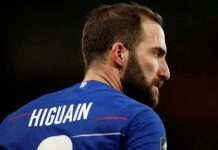 He came on to put Chelsea in front away to Valencia in the Champions League and scored his fifth Chelsea hat-trick in the 5-1 win over Bolton days later. After two consecutive defeats, Frank scored the only goal of the game against Blackburn, he came on to score a winning penalty against Manchester City and then score a late winner against Wolves. On 25th February 2012, he scored his tenth league goal in the 3-0 win over Bolton. That goal meant he became the only player to score at least 10 goals in nine consecutive Premier League seasons. And it was his 149th all time league goal. After the sacking of AVB, Lampard was resurgent under Roberto Di Matteo. He assisted JT’s equaliser in the Champions League Round of 16 second leg against Napoli, before scoring from the penalty spot. In the quarter finals, he scored a crucial penalty in the 2-1 win over Benfica. In a 1-1 draw with Fulham on 9th April 2012, Frank scored his 150th Premier League goal. Lampard’s importance in big games continued as the season drew to a close. He scored another trade-mark free-kick from 35 yards in the 5-1 win over Tottenham in the FA Cup semi-final. And in the semi-finals of the Champions League, he was crucial in releasing Ramires for goals in the first and second legs against Barcelona. Frank set up Drogba’s winner in the FA Cup final, beating Liverpool 2-1 for Chelsea’s seventh FA Cup and Frank’s fourth. With John Terry suspended, Lampard took the captaincy for the biggest game in Chelsea’s history – the Champions League final. He indirectly played a vital part in Drogba’s equaliser that sent it into extra time with a few minutes left on the clock. Initially, Lampard looks to attack the ball but soon ducks out of the way for Drogba to power his header home. 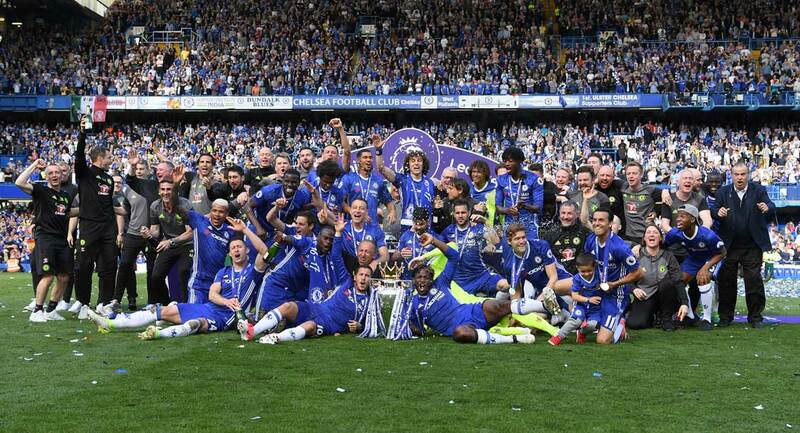 Unsurprisingly, Lampard converted his penalty and went on to lift the Champions League trophy for Chelsea with JT. 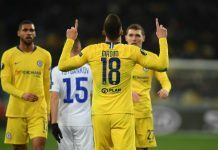 Despite not being a regular figure in the early stages of the season, Lampard ended the season as Chelsea’s top goal scorer with 16 in all competitions. Frank started the 2012-13 season in typical form, converting two penalties won by Eden Hazard in the opening two matches of the season and scoring his third by October. 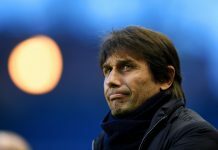 He picked up an injury in September in which time effectively saw Roberto Di Matteo lose his job. 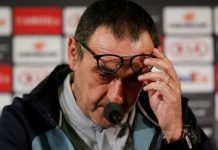 During Frank’s injury, Chelsea slipped from the top of the table to third, four points off the top, and on the verge of elimination from the Champions League at the Group Stage. Under the interim stewardship of Rafa Benitez, Lampard marked his 500th Chelsea appearance with a goal in the 8-0 win over Aston Villa. He once again proved vital during a difficult Christmas period, scoring both goals in a 2-1 win away to Everton. With speculation that Lampard would not be offered a new contract and would leave at the end of the season, support for the midfielder grew even stronger than it always had been. On 12th January 2013, Frank scored a penalty against Stoke which was his 194th for the club, moving him into second, eight goals behind Bobby Tambling. 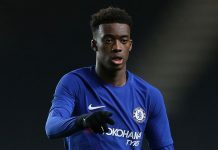 He continued on a terrific run of goals and scored his 199th in the 4-0 win over Brentford in the FA Cup – that also made him Chelsea’s record FA Cup goal scorer with 26. And finally, the reason behind this trip down memory lane – Lampard scored his 200th goal for the club he adores so much against his former club, West Ham on 17th March 2013, with a header from a cross from Eden Hazard. Frank Lampard now has nine Premier League matches, as well as Europa League and FA Cup matches, to score three more goals. That’s it. Three goals, and Frank Lampard writes himself into the history books as Chelsea’s all-time leading goal scorer and all-time greatest player.